Holly Woodlawn, a pioneering trans entertainer who rose to fame in Andy Warhol’s 1970 film Trash, has died. She had reportedly been battling cancer for some time, and was in hospice care at the time of her death. Woodlawn’s death was confirmed to the Associated Press by her friend and caretaker Mariela Huerta, who says she died yesterday in Los Angeles. She was 69. 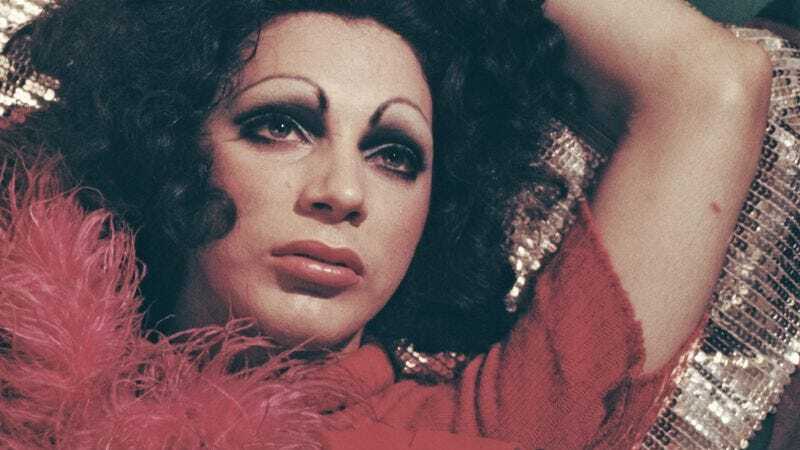 Born Harold Danhakl, she changed her name and began living as Holly Woodlawn after running away from home adn hitchhiking to New York City at the age of 15. There, she fell in with the crew of artists and outsiders who hung out at Andy Warhol’s Factory, and soon was dubbed one of his in-house “Superstars” and cast in his film Trash, a role for which legendary director George Cukor reportedly campaigned to have her nominated for a Best Actress Oscar. That led to a role in Paul Morrissey’s feminist satire Women In Revolt, where she starred alongside fellow “Superstars” Candy Darling and Jackie Curtis (1971). Those roles didn’t lead to a sustainable film career, however, and so Woodlawn established herself as a cabaret performer before experiencing something of a career renaissance in the ’90s, when she appeared in the video for Madonna’s “Deeper And Deeper” as well as a handful of indie flicks like Billy’s Hollywood Screen Kiss (1998). Most recently, Woodlawn appeared on the first season of Amazon’s critically-acclaimed Transparent. Holly came from Miami F.L.A. / Hitchhiked her way across the U.S.A. / Plucked her eyebrows on the way / Shaved her legs and then he was a she / She said, hey babe, take a walk on the wild side / Said, hey honey, take a walk on the wild side. Woodlawn reportedly had no surviving family. She died listening to messages of support from friends and fans, however, according to her Trash co-star Joe Dallesandro, who visited her in the hospital Sunday and shared news of her passing on Facebook.